Never underestimate the power of curtains! At least that’s what we think here at Ultimate Home Decors. Curtains fulfil a whole heap of household needs. On a practical level, they mean the difference between a cool room in summer and a warm, draught free one in winter. Carefully chosen curtains can even make a positive impact looks. Decoratively, they can help bring a whole room together and complete a look according to your personality and taste. Here at Ultimate Home Decors we have a great selection of curtains, blinds, swags and pelmets. Deciding on the right curtains can make a dramatic difference to both the appearance and feel of a room. Do you want the window dressing to be the focus of the space or do you need a more neutral solution that will always tie in with whatever furniture is in the room? We make it easy for you to shop by price, colour, style or size. If you know exactly what you’re after, we stock a good selection of well-known brands. A beautiful curtain is determined by the cutting of the fabric through to the final stitch . We serve in the contract furnishing industry and we provide customized solutions as per requirements of our clients. 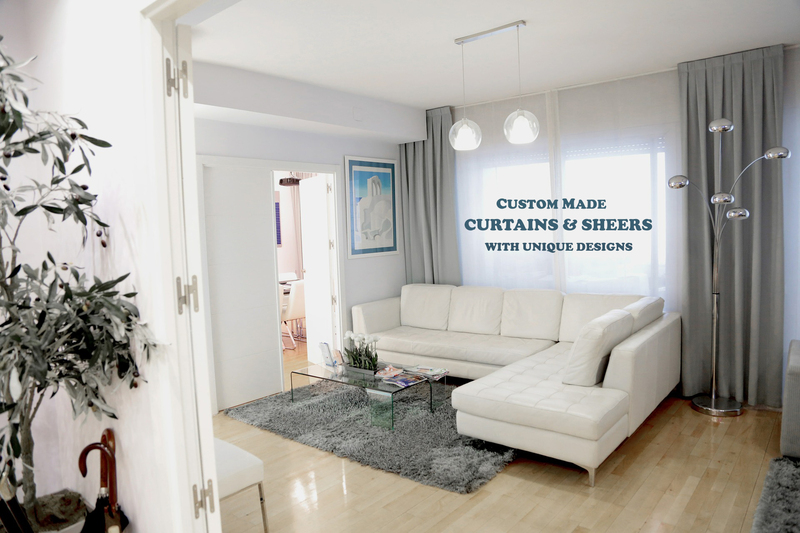 We provide services like stitching of all soft furnishing items and hardware fixing related to curtains. All of our window curtains are manufactured by us. We advise what style and finish of curtains would be suited. Protects you from the heat of summer and cool of winter. We adjust the fullness of our curtains according to the fabric. We are also able to offer motorisation. What we say at Ultimate Home Decors? Which products and fabric options will give you the best insulation. How to get the best look for your room by advising on colours and finishes. What are the best products to meet your requirements. Make suggestions and recommend alternatives for your specific application. We are a team of talented and motivated individuals who shared a goal of attaining standards in professional curtains, blinds, plantation shutters, swags and pelmets services.